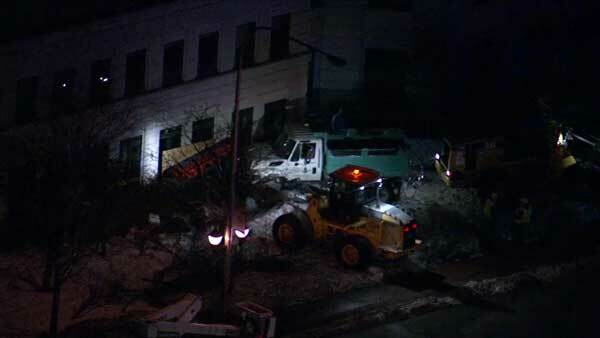 EVERGREEN PARK, Ill. (WLS) -- A city plow struck the side of an office building at little Company of Mary Hospital in south suburban Evergreen Park. Emergency crews were on the scene near West 95th Street and South California Avenue Tuesday morning, working to remove the snow removal truck. No one was inside the building at the time of the crash. No one was hurt.